When we think about it, there is a lot we have in common as moms. However, there are countless things we do differently too. Things that family members and strangers alike are quick to point out. So for all the moms who’ve been made to feel like they weren’t good enough because of some one else’s thoughts on their decisions…this one is for you. 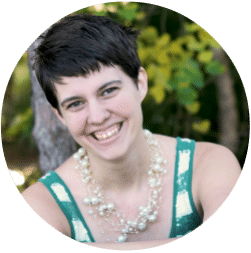 Birth Choices – The mommy wars start early. There are so many different decisions, most of them contrary to the others, but that doesn’t mean we need to be at odds against each other as mothers. My son and his little best friend entered the world in completely different ways, but they both loved entirely by their mamas. There are dozens of decisions to be made during the birthing process, none of which disqualify a mother from being good. 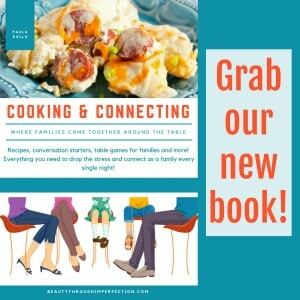 Food options – From birth to adulthood, we all make different feeding choices for our kiddos. Breastmilk or bottle, McDonald’s or organic (and everything in between). Good moms, make lots of different choices in regards to what their kiddos eat. We might not agree with one another’s choices, we probably have very good reasons for making our own decisions. As long as the children are being fed sufficiently the details are not quite as important. Yes, healthy foods are important to a child’s development, but loving your kids is far more important. Serving french fries doesn’t mean expulsion from the good mom’s club. Working – Some good moms work outside of the home. Other good moms stay home with the kids or even work from home. None of these choices affect the love given to the children. The best choice is different for each family, for each mama. They are each challenging in their own ways and require no competition. Motherhood is hard regardless of the other options that we select individually for our lifestyles. Regardless of career choices, one thing is true for each of us, we’re all full-time mamas, and we all love our babies immensely. Marital Status – All of these are controversial, but this one might be the most controversial yet. Good moms are single, good moms are married, good moms are sometimes found somewhere in between those stages. You might not agree with another mom’s marital choices, but that does not mean that she’s not doing a wonderful job caring for, and loving her children. Some of the best moms and most loving moms I know are single moms, or engaged mothers. Marital status does not define a mama! Age – From the youngest to the more seasoned, good moms come in ever shape, size and age group. Just because a woman is young, does not mean she’s unable to be a fantastic mother to her babies and the same is true for the older mamas! We don’t all choose to have children at the same time, and some have children when they were not expecting them, but surprises don’t prevent you from being a good mom! Children With Differing Development Speed – Some good moms have kids who hit their developmental milestones ahead of the norm, others good mamas have children who hit them slower than average. Most of the time, this has less to do with mothering “skill” as it does to do with all kids being different. Schooling – Homeschool, private school, Christian school or public. All good education choices made by good moms and dads. Logistics of Nap Time/Bedtime – Different kids, different schedules. There are not specific requirements for sleeping. As long as the kids sleep at some point or another you’re doing all right. Some sleep stages are harder than others, but that doesn’t mean you’re a bad mom. It pretty much just means you have a child. Sleep time is no joke, and we all figure it out differently. 1,000 Other Things – Sometimes it feels like there are a thousand different choices to make as a mother, and while in some ways this is true (should I swaddle my baby? Lay her on her belly? Her side? ), there are so many things that we have in common too. There are so many wonderful choices a mom can make while another stellar mama could choose opposite in almost everything, and they would both be great moms. We have some things in common, and other choices that make us unique, but one thing is true across the board, a little less judgement and a lot more encouragement could go a long way in the fight to end mommy-wars. Commit today to be confident in yourself as a good mom, and to encourage the mothers around you to do the same! We’re all just doing the best we can to love and raise our children in the way that works for our family. Sometimes it looks the same, sometimes it’s different but always in love. Looking for more encouragement? You’ll love this post about 10 things ALL good moms have in common. All very good points. My in-laws are very mainstream and I’m, well, not so much. Being raised in that environment, dh has been through a huge paradigm shift since we married, but especially since we had munchkin. For their part, they seem to respect my decisions. At least they don’t give me any grief. When I was pregnant, I wasn’t sure. Wonderful post! We are all at different stages in our motherhood but we love our children immensely! Yes, this is a different approach. 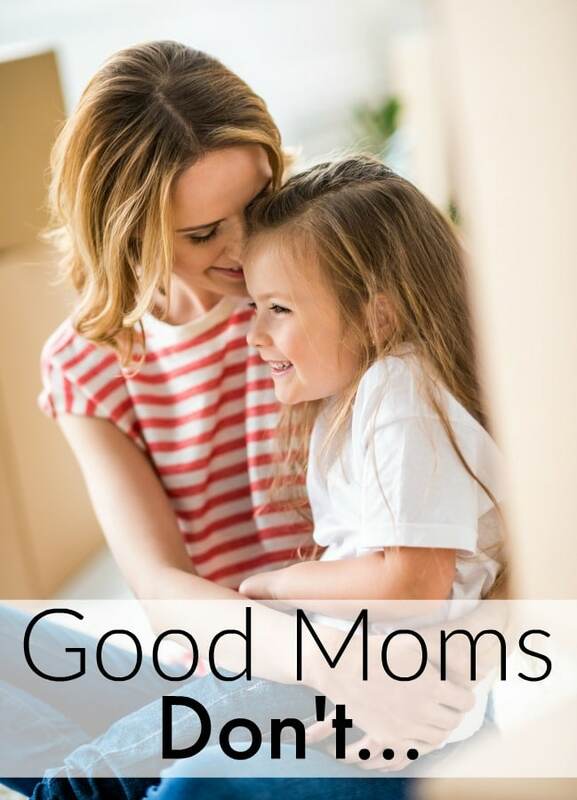 Good moms, but doing things differently. Found you on Modest Mom blog hop. LOVE this! There are too many mommy wars to count, and it can leave us all second guessing every single move which is really counterproductive in the end, isn’t it? The most important thing is that we’re not doing anything to harm our children (and no NOT breastfeeding and NOT eating all organic/gluten-free/nut-free/gmo free/sugar free/flavor free does NOT qualify as purposefully harming your child). Thanks again for being a sane voice! This is such a fantastic post. You are so, so right. I love being part of the mommy blogging community, where all walks of life and methodology are welcomed, encouraged and supported. Found you via SITS! Great points — the main thing is that mothers don’t have to fit a mold. And we won’t all be the same…but that’s ok! That’s what makes life so interesting, right? 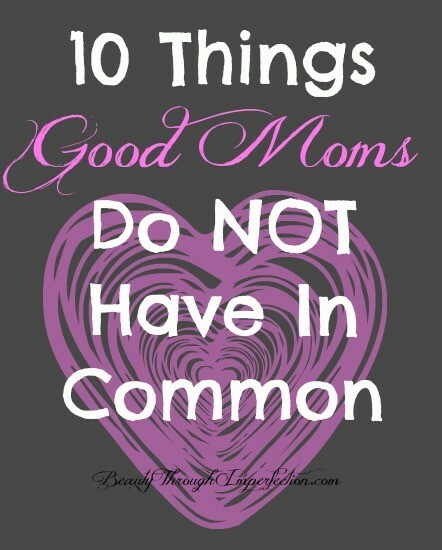 Hey Buddy!, I found this information for you: "10 Things Good Moms Don’t Do". Here is the website link: https://www.beautythroughimperfection.com/good-moms-do-not/. Thank you.